With the indictment of Don Blankenship for violating Mine Safety regulations leading to the deaths of 29 miners at the Upper Big Branch mine, comes several opportunities for West Virginia in particular and central Appalachia as a whole. I’m sharing a series of these reflections for your consideration. If West Virginia is the Mountain State, then why are so many of us “Friends of Coal”? Coal has given you black lung. Coal has given you contaminated water. Coal has given you impoverished communities. Coal has divided you one from another. Coal has drowned your towns and bought your government. Continuing your friendship with coal is like a battered woman continuously returning to her abuser. It doesn’t really make sense. With the indictment and pending trial of Don Blankenship comes an opportunity for West Virginia to take a fresh look at all of her resources. 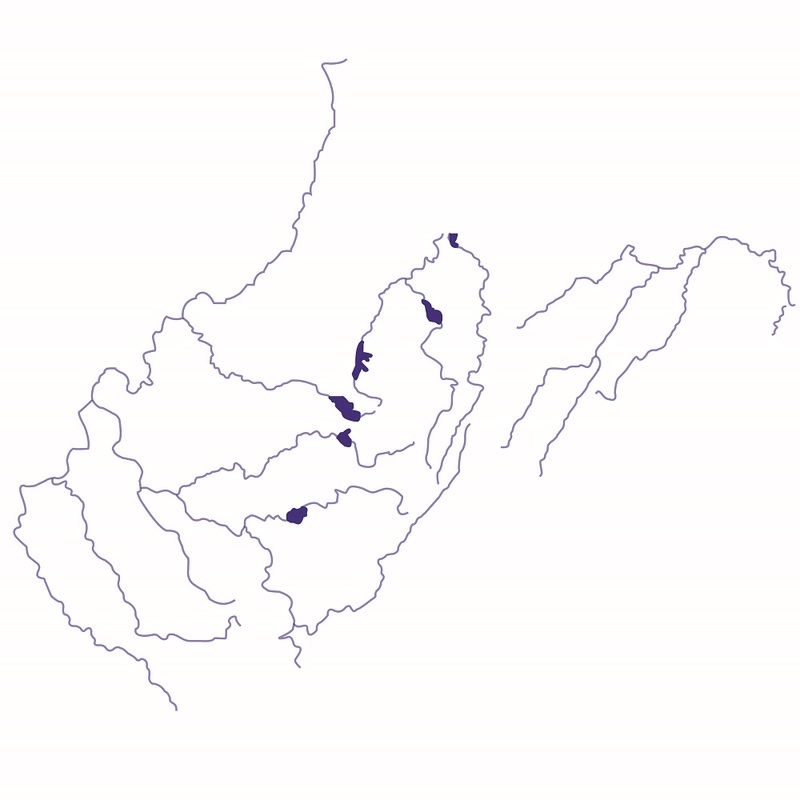 Take a look at look at West Virginia’s waterways. Certainly, some of these are grossly contaminated. You received a major education about water contamination a year and a half ago, didn’t you? Imagine if this network of waterways was healthy, good to play in, teeming with fish like they used to be, attractive to live around. You can have that. But there’s work to do politically and morally to correct the matter. The work is worth it if you focus on the result. West Virginia already has a foot in the door when it comes to a good water reputation. How many people a year try their luck rafting the New River? The splendor of the New River draws people from near and far. Too bad it is the exception rather than the norm for WV. I speak of this from the heart, because nothing beats a river town. I’ve lived on the Hudson, the Mississippi and the Columbia, all mighty a splendid rivers with strength and majesty to spare. Are any as beautiful as the New? Do any meander territory as colorful as the Bluestone? From top to bottom, West Virginia is shaped as much by rivers as by mountains and valleys. Love the rivers and they will love you back with loads of healthy fish, ample water for drinking and playing, healthy bugs, healthy wildlife, healthy human life. This is what makes the water crisis so bewildering to so many. By being solely devoted to coal, you have allowed chemicals and human error to decimate your waterways. The latest slap is an effort to gut the protections that would have prevented an elongated crisis from unfolding. I can’t understand how a place with so many fishermen can allow this to take place. It’s illogical. And to use a church term, it’s just poor stewardship. The poor stewardship angers me for sure, but it more saddens me. I use the term stewardship to not only expose the folly of poor management but to mourn a loss of opportunity. West Virginia is a unique place. That is a source of pride in every sense of the word, good and bad. The opportunity given to you through the indictment of Don Blankenship is to reclaim all of your resources and dedicate yourselves to valuing them all. I think you should start with water. The opportunity here is to find ways of preserving the water and sharing its splendor with others. The folks in Fayetteville have discovered this. Similar opportunities can be developed throughout the state. The people in Morgantown have spoken of a water taxi for years. Same in Parkersburg. But a larger scale conversation could realize greater gains in water recreation and tourism. Dust off that sternwheeler, people want to ride! Another opportunity to reclaim a more promising identity is being handed to you by the good folks at Keen shoes. They are sponsoring a movement to designate a section of the Mongahela National Forest as the “Birthplace of Rivers National Monument“. As a national monument, this land would be recognized as the headwaters of several rivers, including the Gauley, the Elk and the Greenbrier. I love being from the mountain state. Imagine being from the River State as well. There will come a time when the coal runs out. Even studies within the coal industry are saying this. Additionally, coal jobs will likely decline. What will become of WV if you’re not prepared for it? Many are looking to trade coal for natural gas, but that’s just trading bandwagons. May I humbly suggest a change in strategy altogether. Six years ago, Senator Robert Byrd called West Virginia to the carpet for ignoring the grim future coal promises. To be part of any solution, one must first acknowledge a problem. To deny the mounting science of climate change is to stick our heads in the sand and say “deal me out.” West Virginia would be much smarter to stay at the table. The lessons of the water crisis, the history of labor in West Virginia and the ongoing tendency of coal operators to ignore health and safety of workers and communities are all brought to light with Mr. Blankenship’s trial. I commend the government for bringing this moment to the people of West Virginia. I hope that the lessons being offered can be learned. So the opportunity is here. Who do you want to be? The Mountain State? The River State? The Coal State? With the indictment and trial of Don Blankenship, dear West Virginia, the chance is before you to be who you are meant to be: wild and wonderful.